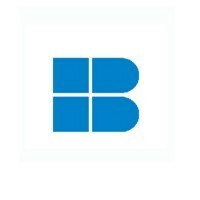 ENbox is an energy trading platform that connects big energy consumers with power companies and energy traders, redesigning the deregulated energy market in Brazil. We provide real competition among dozens of suppliers with maximum transparency into the energy procurement process enabling the best prices available.We provide an e-procurement platform in which any company can design their necessity to buy or sell energy and access dozens of potential business partners. Progeniem AgBacter and ZnOBacter are supplied as masterbatch of micro or nanoparticles, which provides antibacterial action to plastics. Progeniem OrgBacter are nano structured SQA (Quaternarium Amonium Salts) supplied in high concentrated aqueous solutions which provides antibacterial action. Agroindústria de produção de microalgas e Biorrefinaria: tecnologia limpa que permite o aproveitamento integral das fontes renováveis, preserva o meio ambiente e à saúde humana e animal. A empresas tem duas unidades de negócio, IBS e Inovalgae. Ortopedia, odontologia, biomateriais, esterilização, próteses ortopédicas, inteligência artificial. Specialists in the integration of innovative technologies for critical processes, with adaptability to the needs of the different segments. We offer each of them comprehensive and effective proposals in the areas of Information Technologies, Industry and Health. 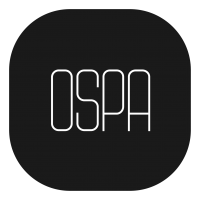 OSPA is a multidisciplinary company formed by Architects, Urbanists and Engineers founded in Porto Alegre and with activity all over Brazil. From the architecture of the object to the urban design, we understand our mission and responsibility as we shape not only spaces, but affect people who interact with them. Performance for residential, commercial, institutional, sporting, hotel and transportation systems enterprises, be them public or private, both in renovations or in new constructions. Cable television company. 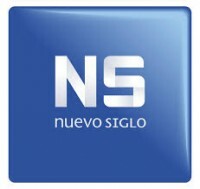 Digital signals, hd signals, audio channels, other. Digital Table (PlayTable) to sopport our educational games for cognitive development and enterteinment, using the concept of lodopedagogy. uGlobally develops solutions to break internationalization barriers and facilitate international growth for tech companies. We have adapted the traditional processes of international expansion to the startup's reality. The result is a faster and more efficient model to enter new markets. Through our methodology, we transform local projects into global companies. Real Estate agencies - Create 360º virtual tours easily: An intuitive platform that creates, in a matter of minutes, a virtual tour ready to be published wherever you want! Real estate photographing their own listings in a few minutes. Thanks to the easy-to-use features of 360° cameras, the real estate themselves can create their virtual tours. Banib Conecta eliminates the need of third parties, making the process better, cheaper, and faster.